PreCheck, a healthcare exclusive employment and background screening firm, receives a 2015 Lantern Award for the PreCheck Blog. 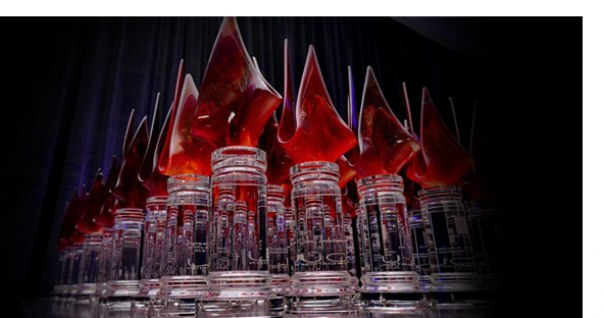 PreCheck, an employment and background screening firm specializing in the healthcare industry, received a 2015 Lantern Award for the PreCheck Blog at the Business Marketing Association (BMA) Houston’s 28th Annual Lantern Awards of Texas on Thursday, November 19, 2015 at the Hyatt Regency Houston Galleria. BMA Houston created the Lantern Awards of Texas more than two decades ago with the sole purpose of highlighting top-quality creative and strategic business-to-business (B2B) communications. Their mission is to deliver thought leadership, recognition, career enhancement and peer-to-peer networking designed to improve careers in B2B marketing. This year, a full house of over 430 top B2B marketers in Houston, Texas attended the event and only 56 Lantern Awards were presented at the gala. PreCheck’s Marketing team also includes Gracie Gonzales, Associate Creative Director, and Antique Nguyen, Marketing Specialist. The PreCheck Blog covers background screening best practices with a healthcare focus as well as the latest healthcare trends and compliance issues. To learn more about PreCheck’s healthcare-focused suite of employment background screening services, click here. The ANA (Association of National Advertisers) provides leadership that advances marketing excellence and shapes the future of the industry. Founded in 1910, the ANA’s membership includes nearly 700 companies with 10,000 brands that collectively spend over $250 billion in marketing and advertising. The ANA also includes the Business Marketing Association (BMA) and the Brand Activation Association (BAA), which operate as divisions of the ANA, and the Advertising Educational Foundation (AEF), which is an ANA subsidiary. The ANA advances the interests of marketers and promotes and protects the well-being of the marketing community. For more information about ANA please visit www.ana.net.